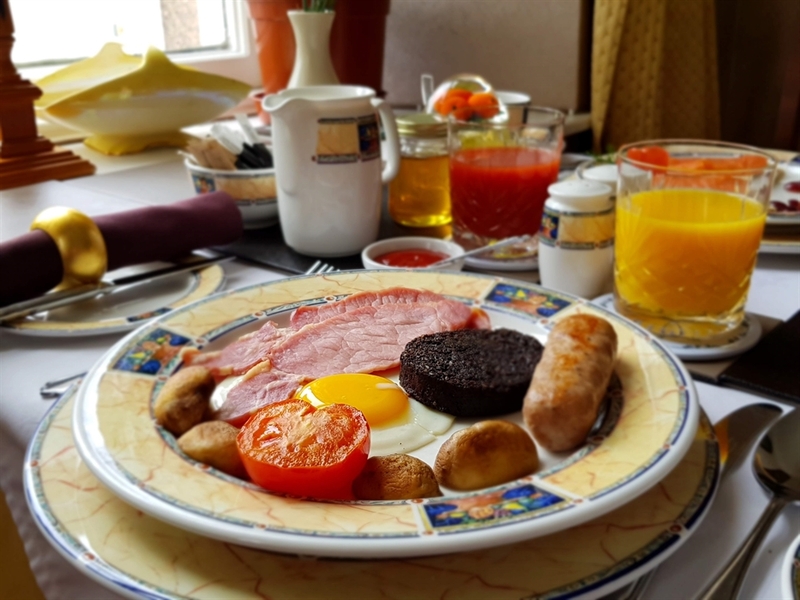 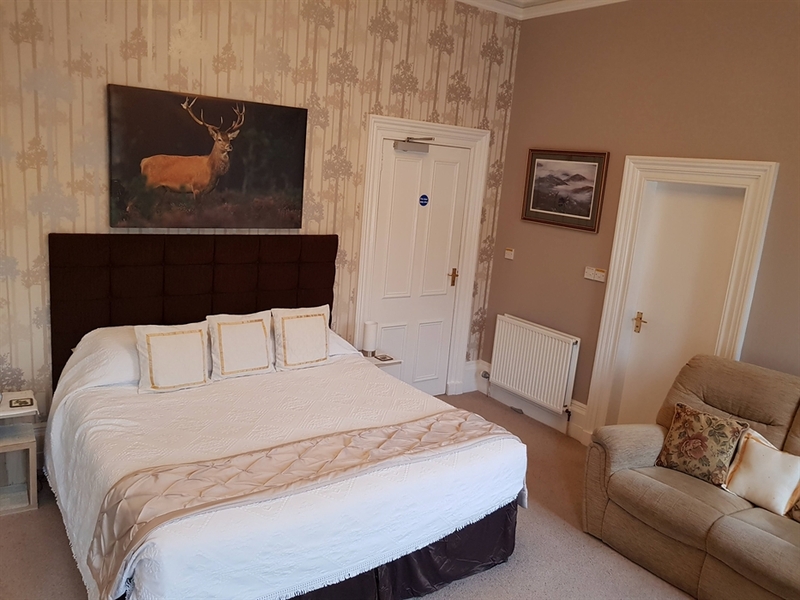 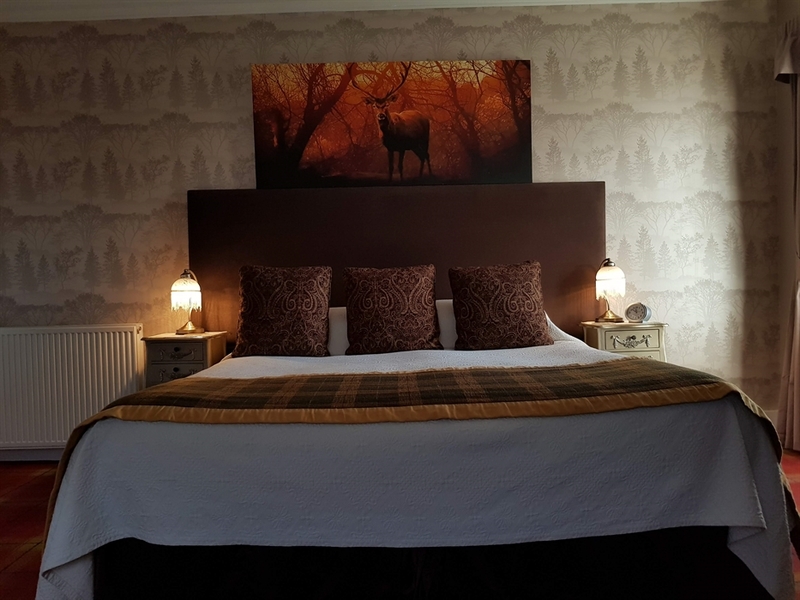 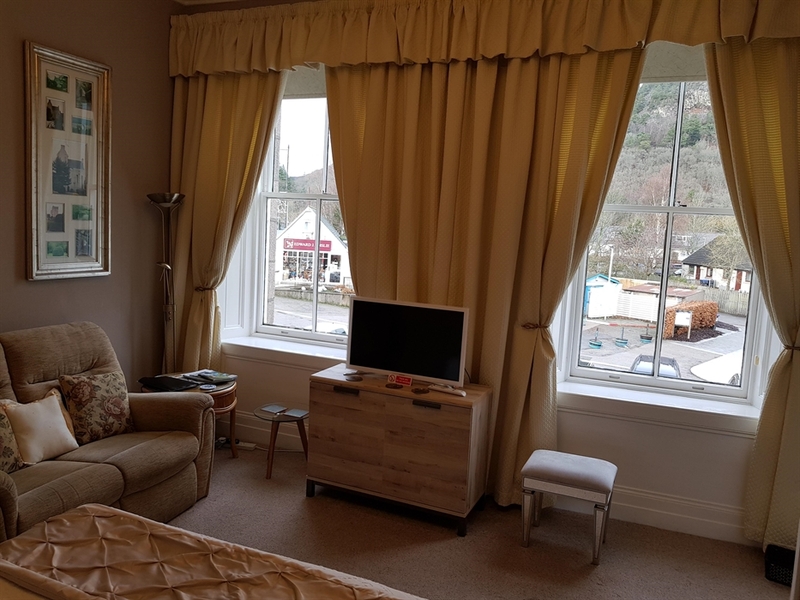 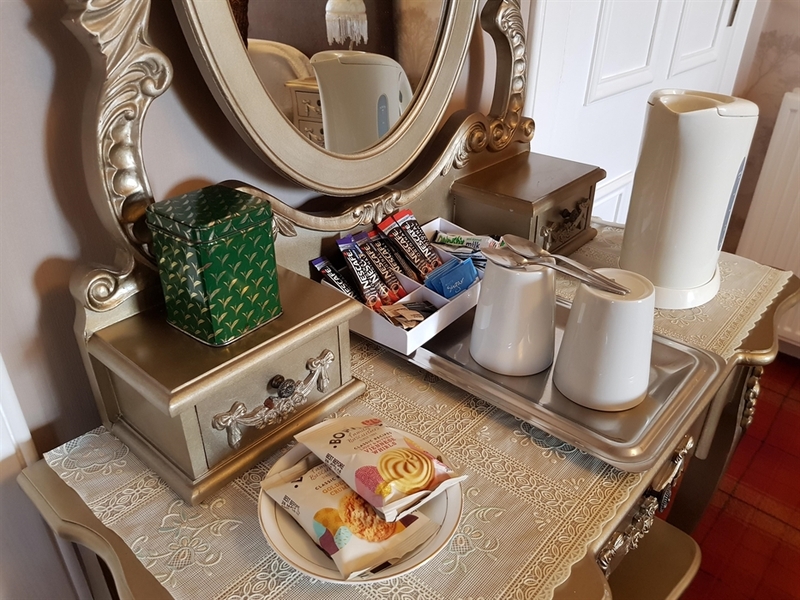 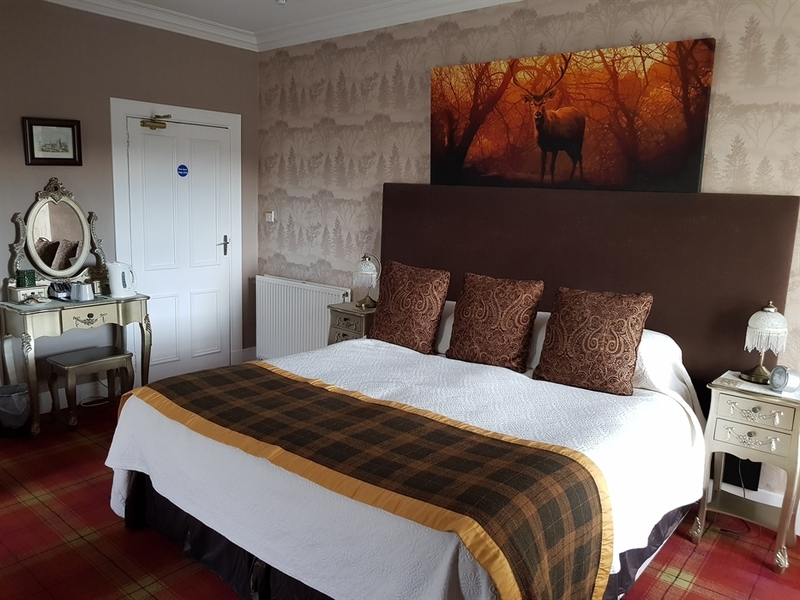 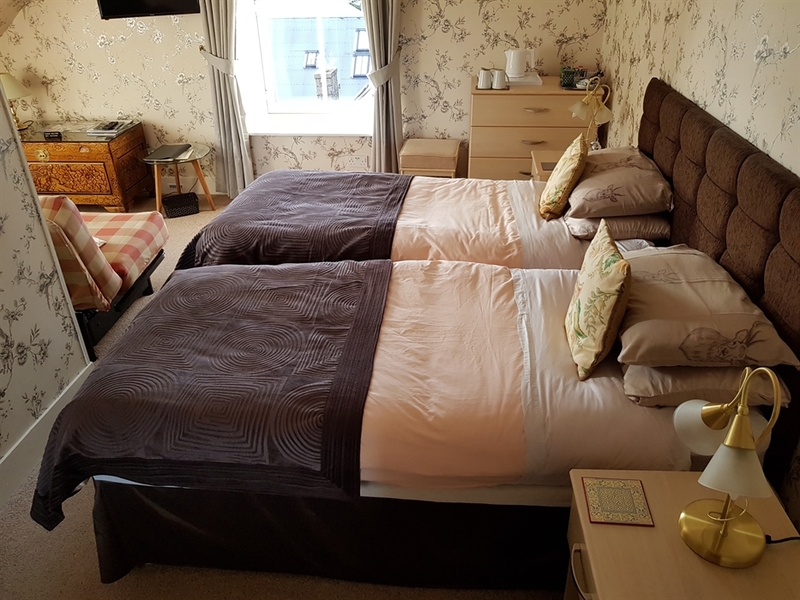 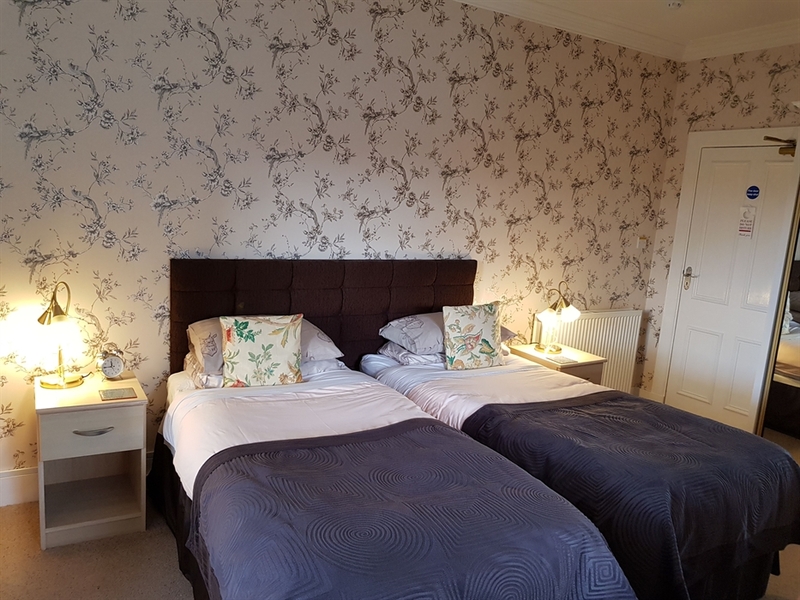 All rooms ensuite with central heating,free WI-FI available,complimentary trays,large range of breakfast options with Scottish sourced produce when available included in price,23 free parking spaces outside door.Flat screen t.v. 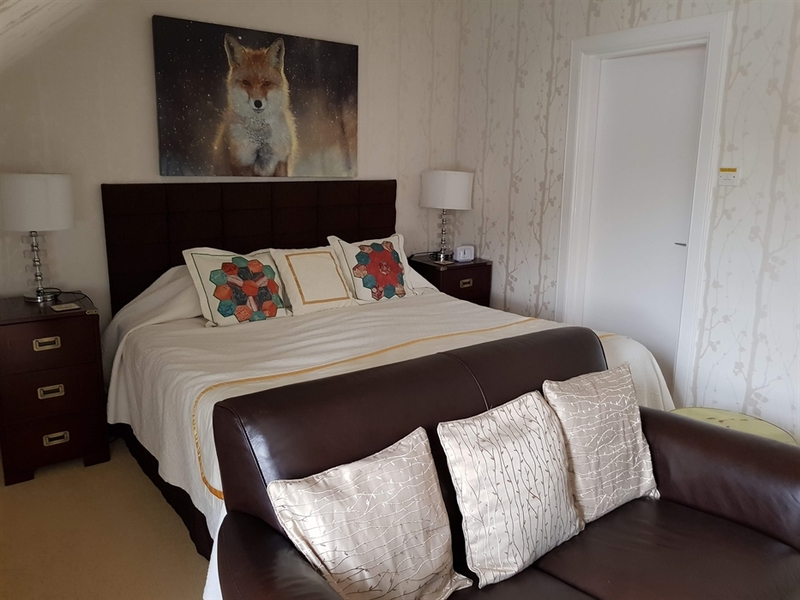 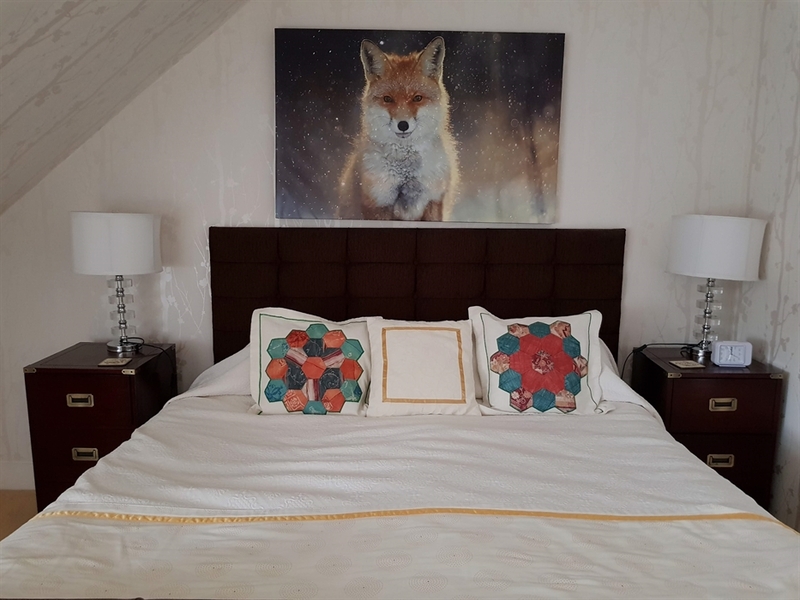 's in all rooms.Sofa in each room.Four rooms have super king-size beds which can be split to give 2 x singles in each room.All rooms on upper floor are double glazed. 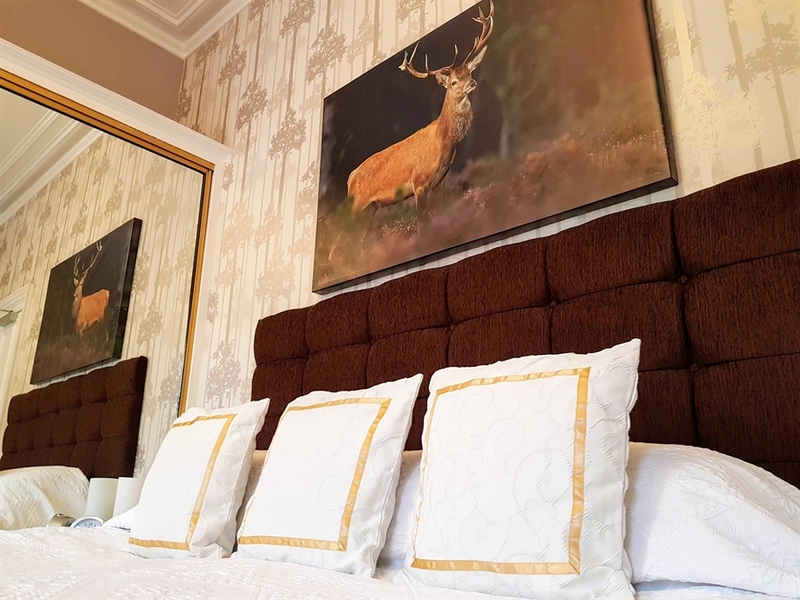 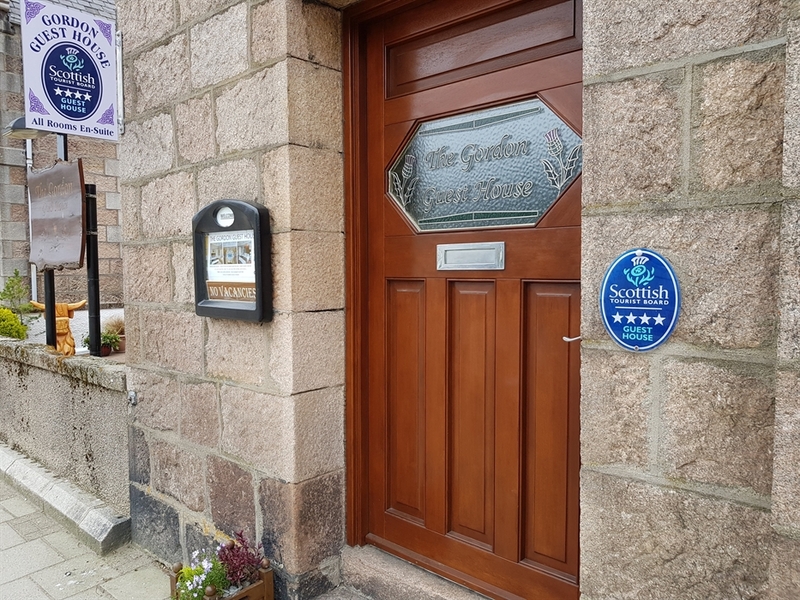 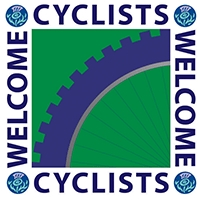 Situated in the heart of the Royal Deeside village. 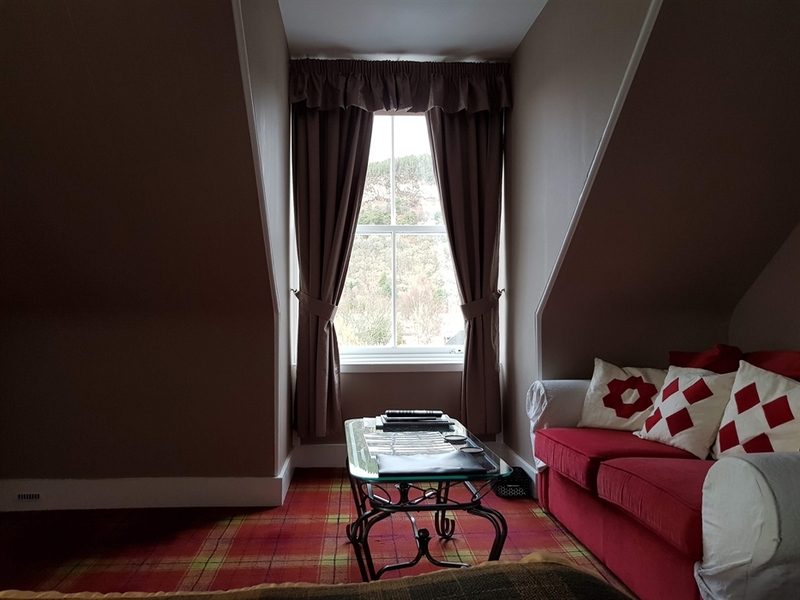 High standard of accommodation, all bedrooms on the first and second floor with views overlooking surounding hills. 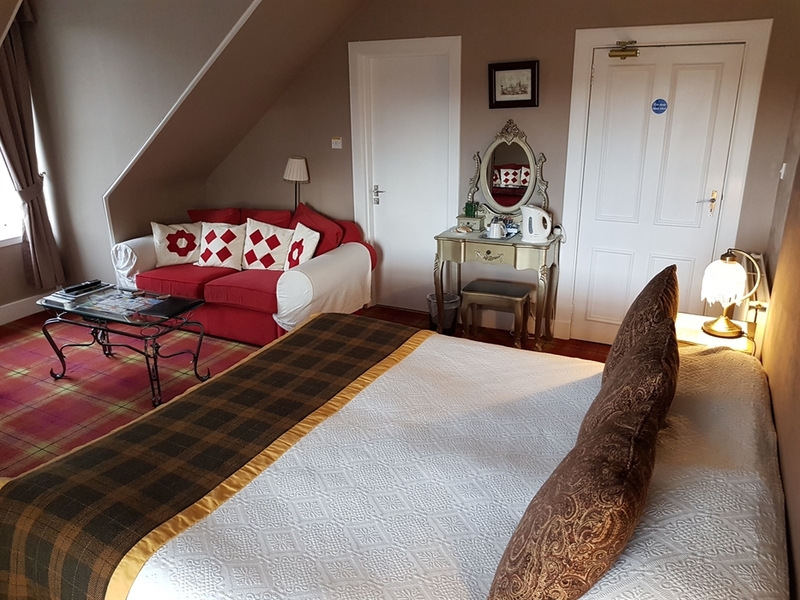 Ideal base for the castle and whisky trail. 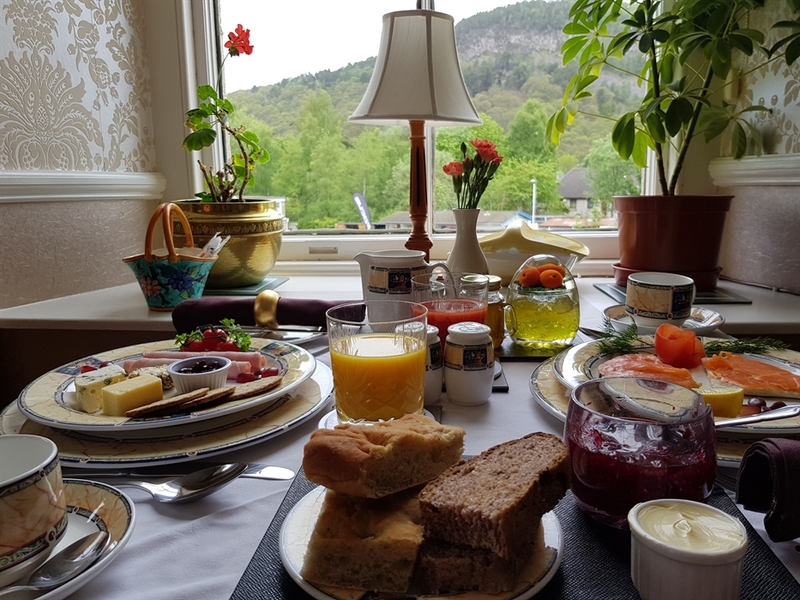 Ten minutes to Balmoral Castle. 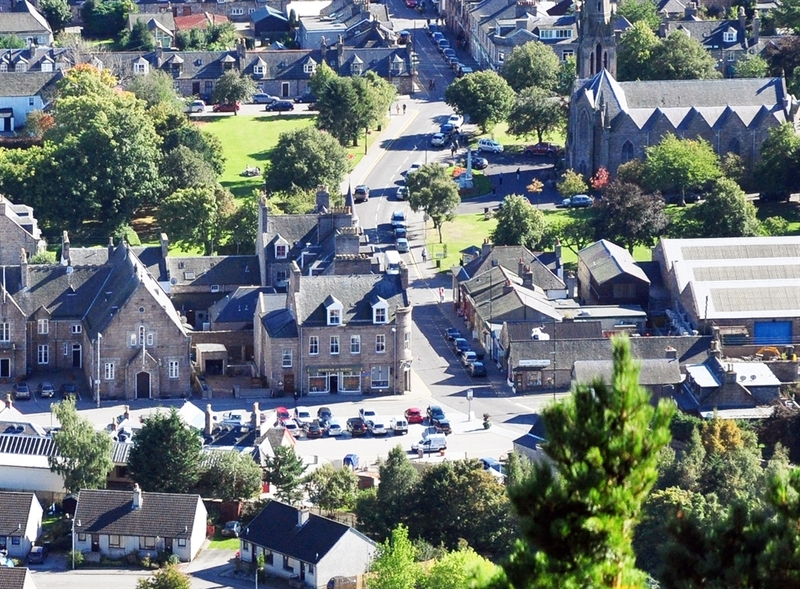 Shops, bars and restaurants within walking distance. 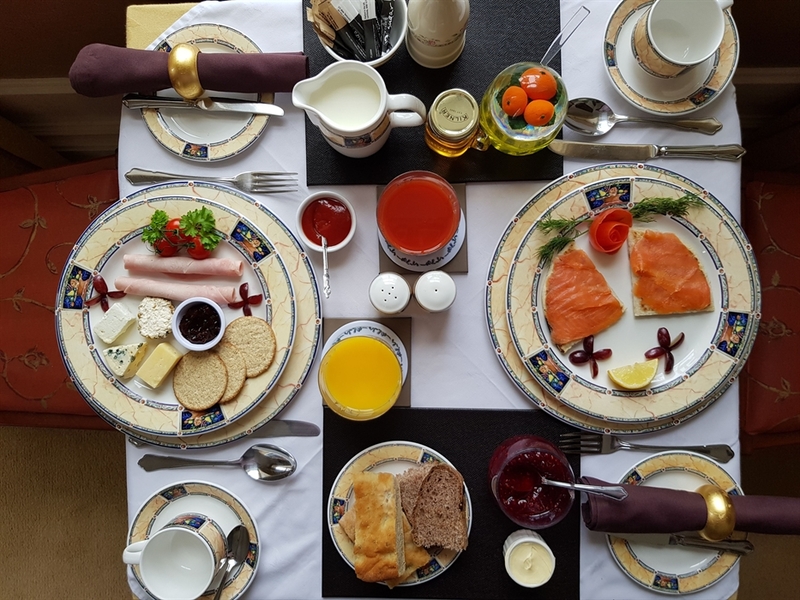 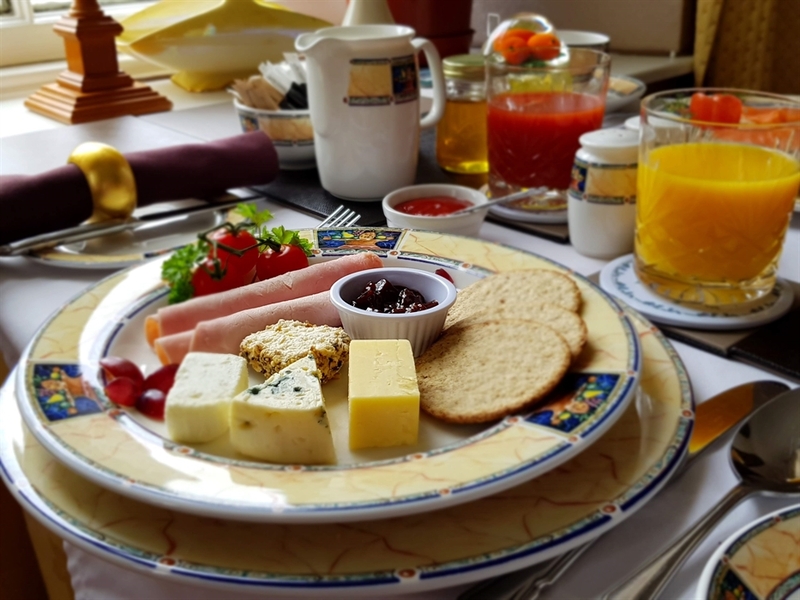 Also situated conveniently for starting point of 5 way marked trails.Breakfast served from 08.00 to 09.00a.m.